And We’re Here to Make the Difference. Filling out an application does not affect your credit score. 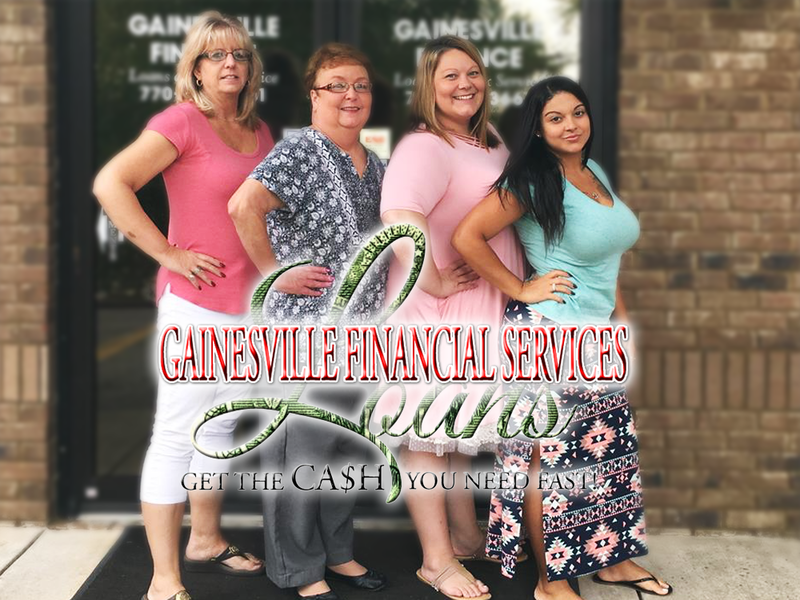 Here at Gainesville Financial Services, we are a rate-regulated lender offering loans to people throughout the area. Whether you’re looking to establish credit, or get credit rebuilt, our experienced team is devoted to helping you get your financial life on track. 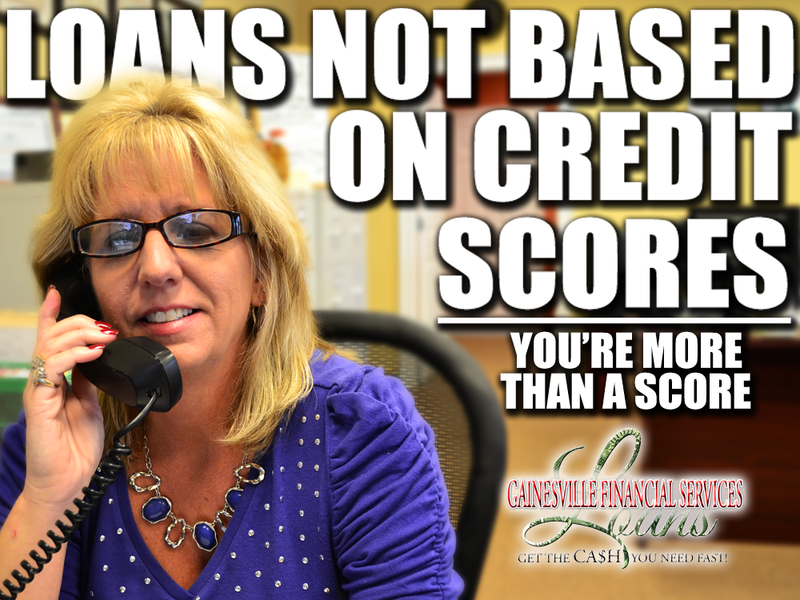 Loans are NOT based on credit score. We treat our clients with the respect and dignity you deserve. You’re more than a number to us, more than a score. You are friends and family. We are family owned-and-operated, and have been in business since 1982. With over 100 years of combined experience, our expert staff has the knowledge and know-how to handle any loan. We provide loans when no one else will, and this is one of the many reason we have third and fourth-generation customers. The bottom line: we’re here for you because we’re one of you; a community. And with nothing to lose except the stress of financial uncertainty, why wait? Stop in or call, and let us put our years of experience to work for you! 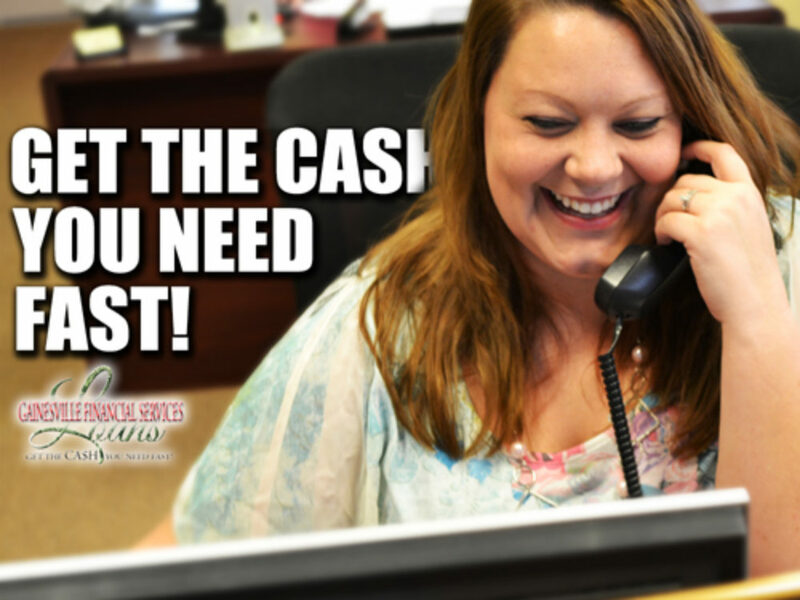 GET THE CASH YOU NEED… FAST! All Loans Subject to Our Liberal Credit Loan Policy.